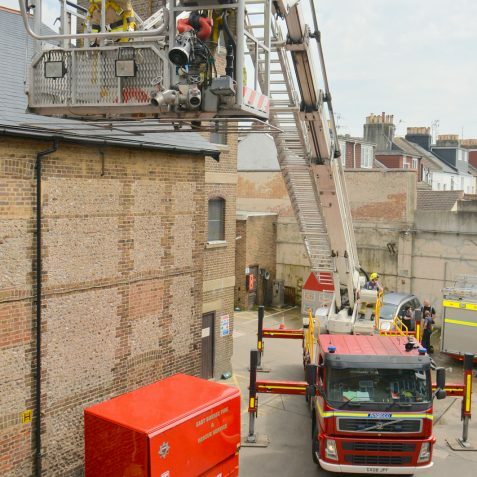 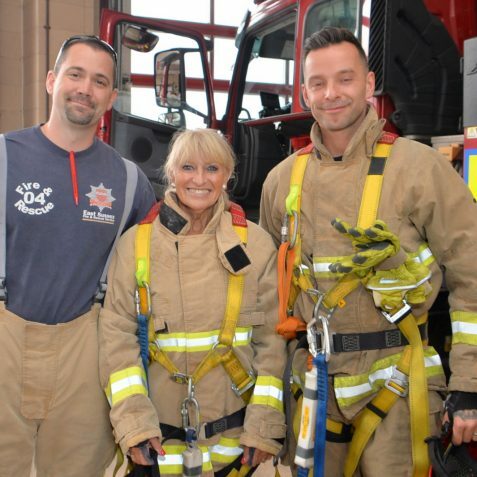 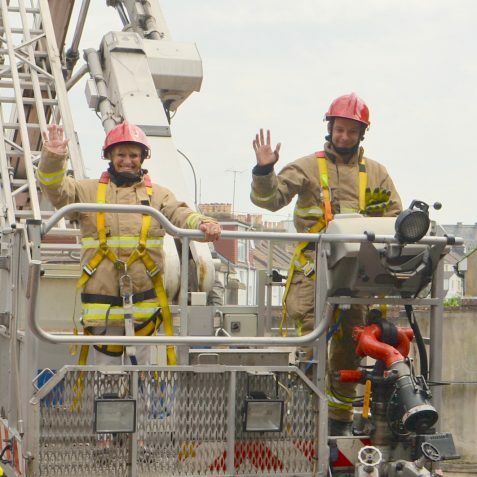 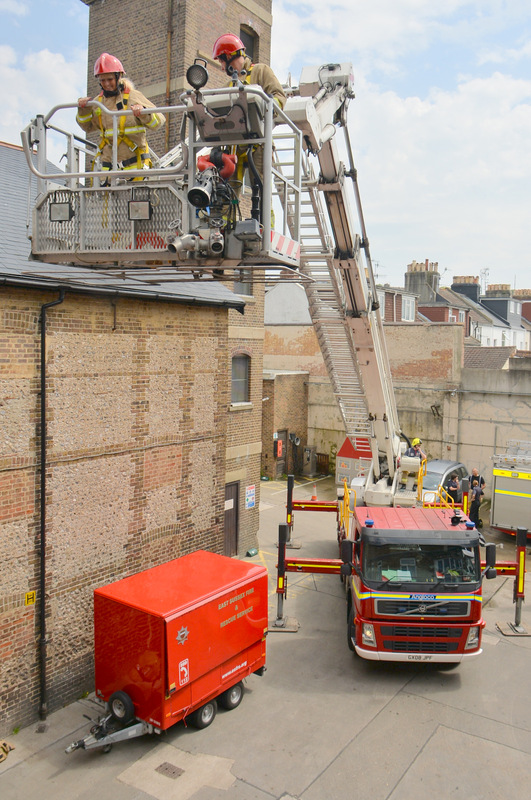 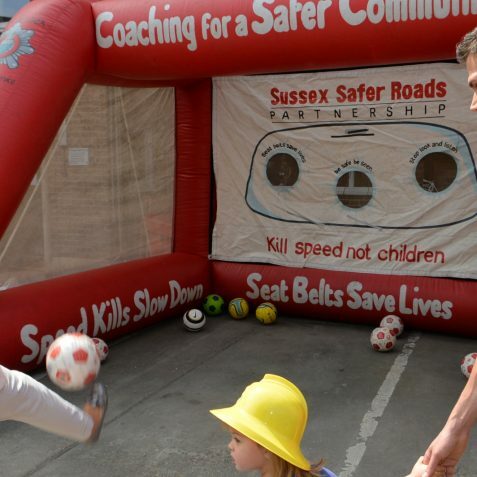 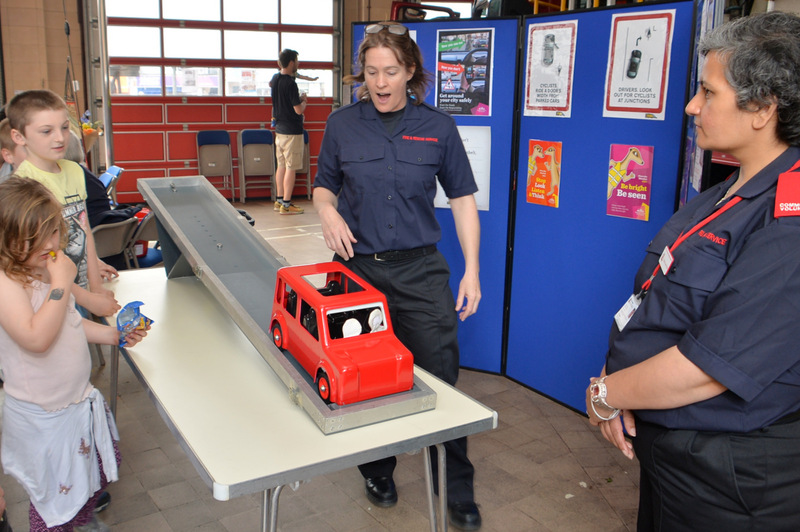 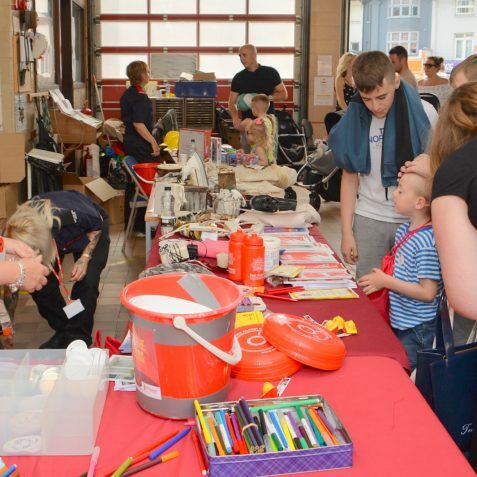 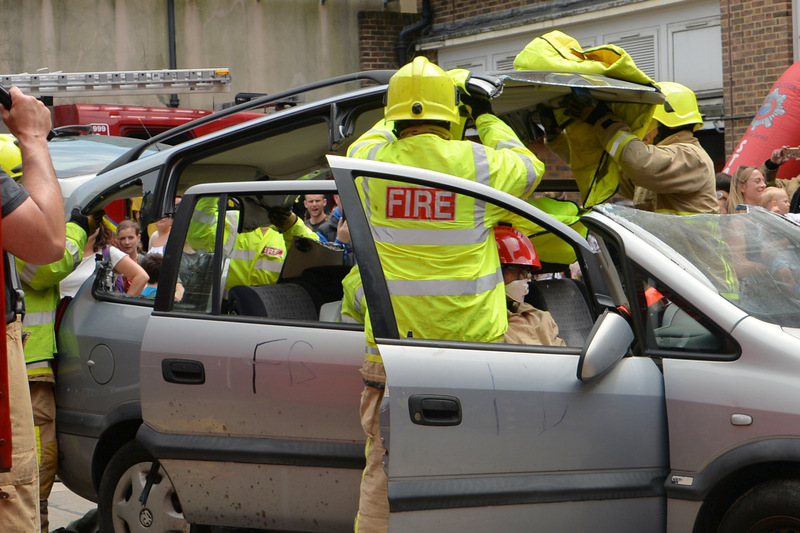 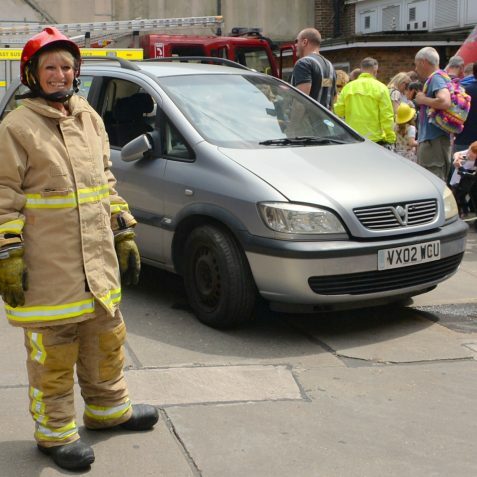 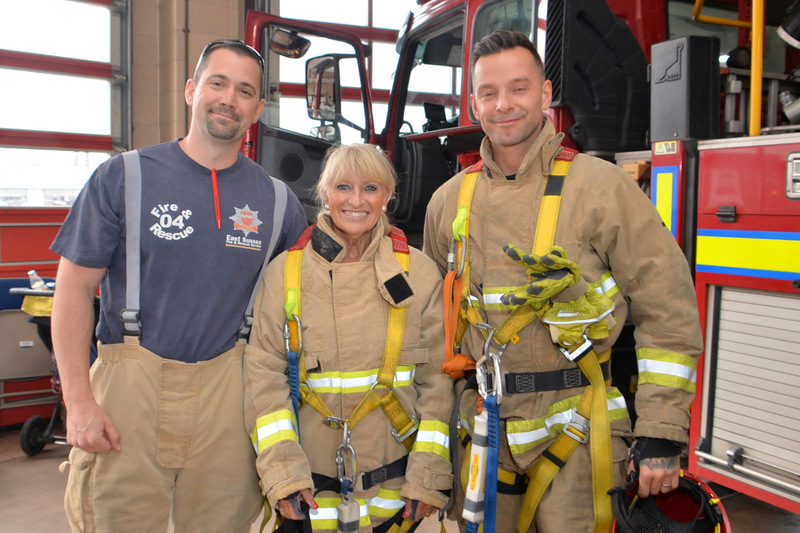 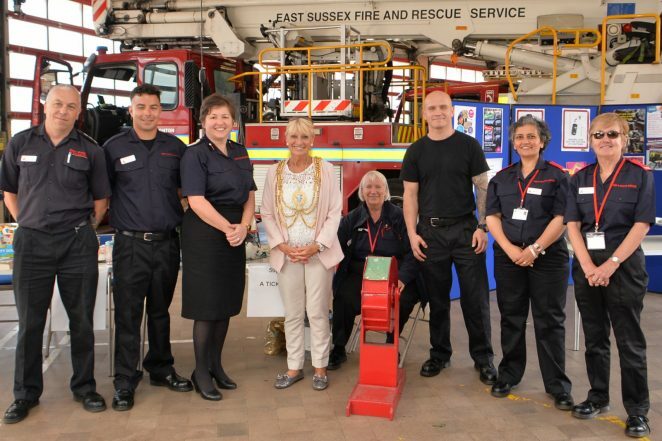 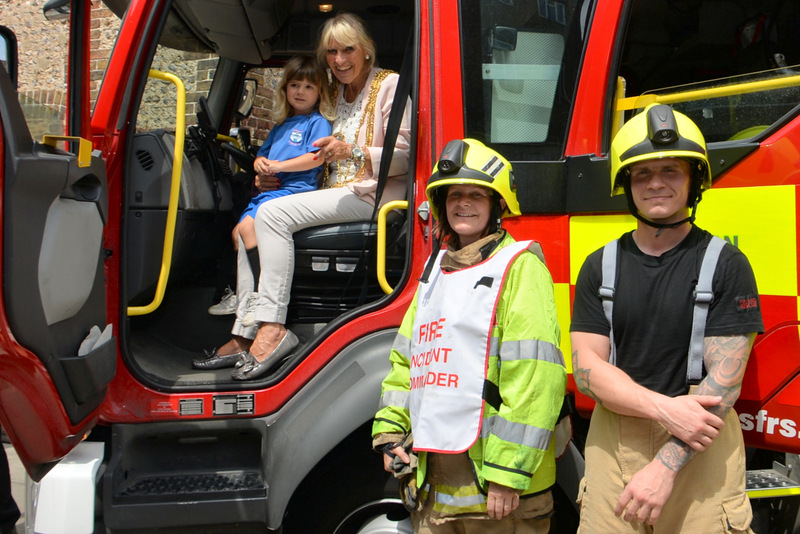 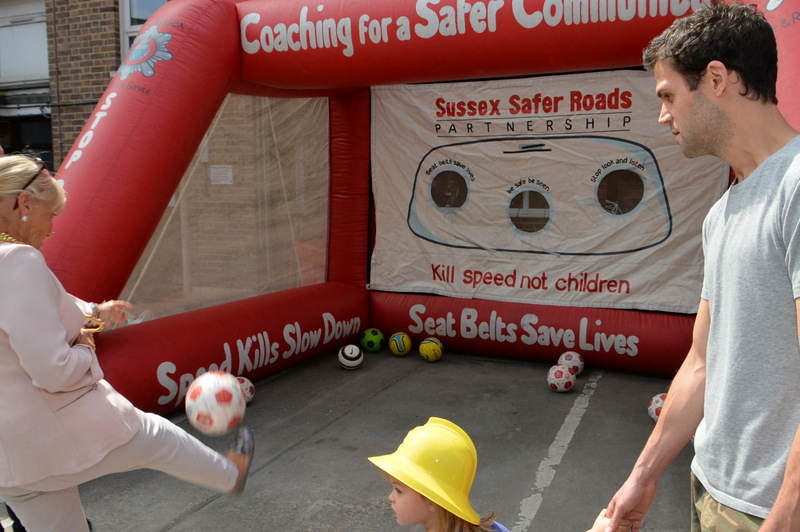 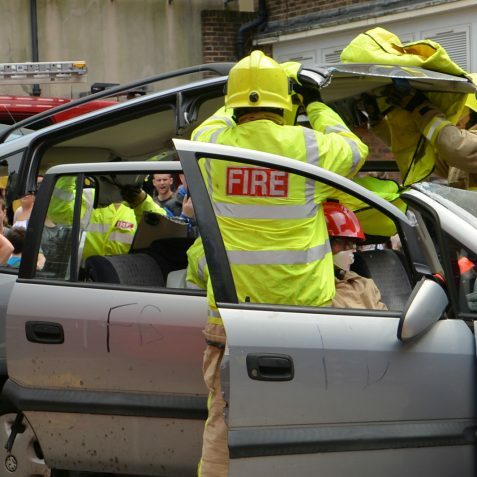 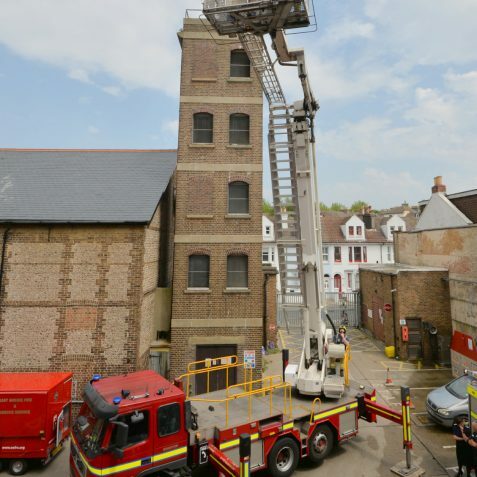 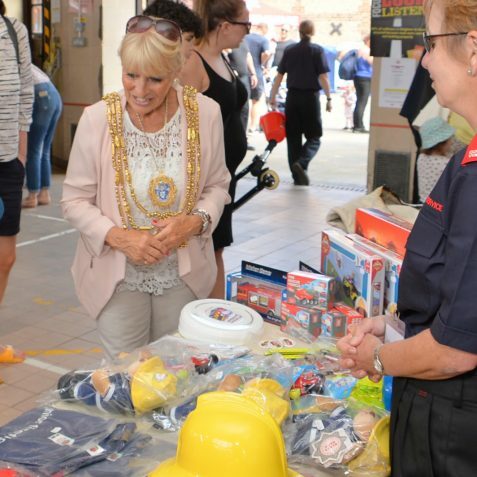 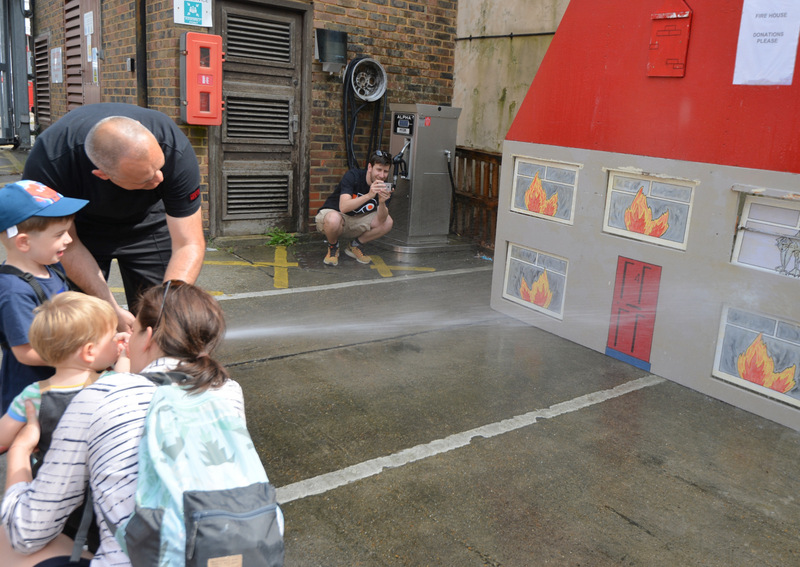 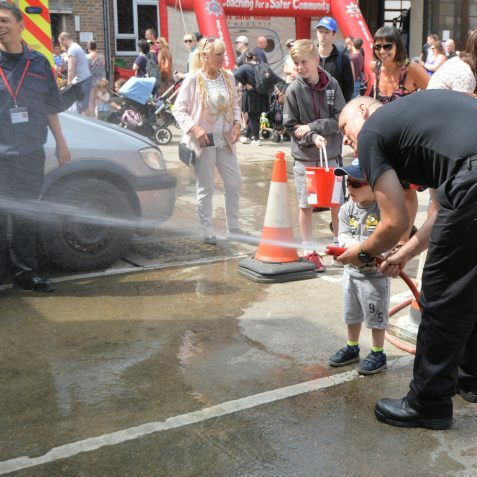 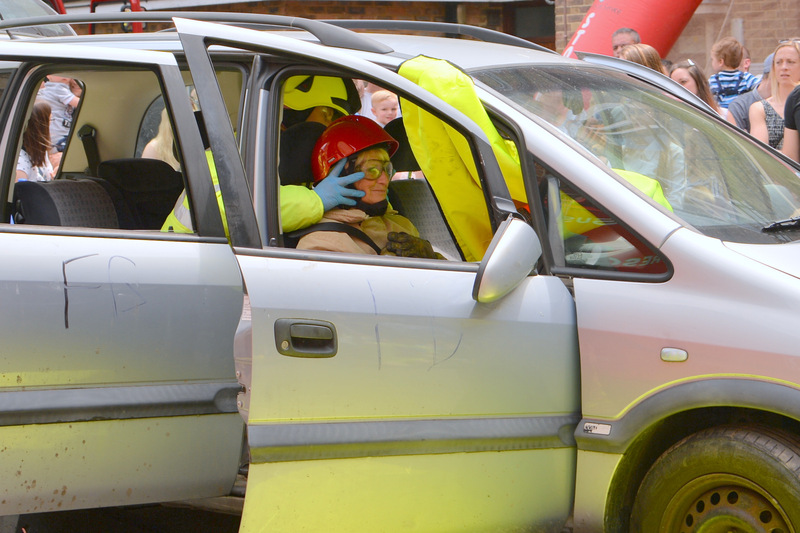 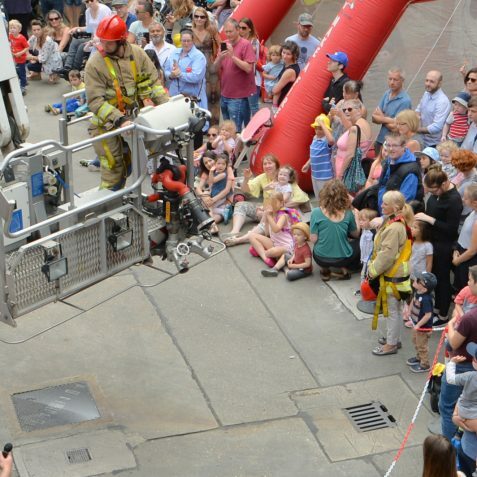 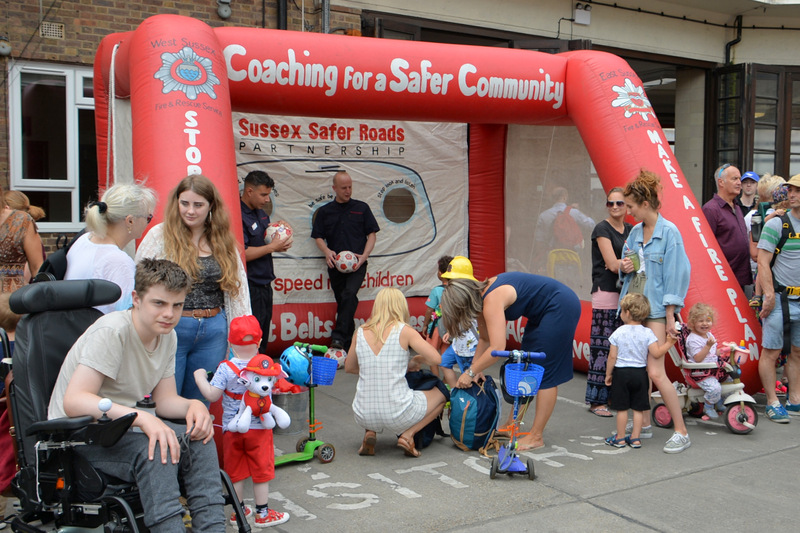 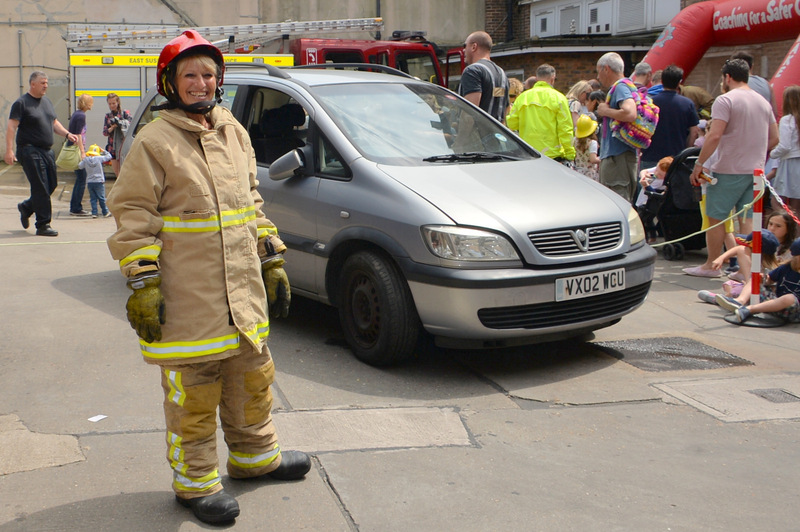 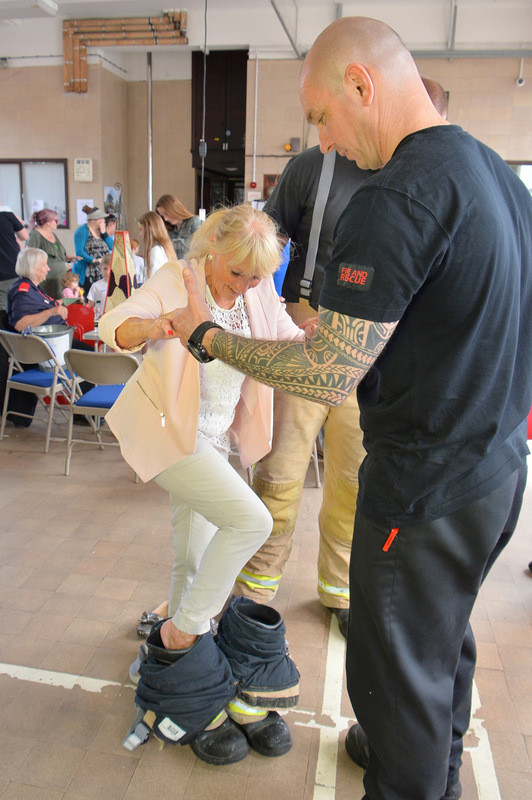 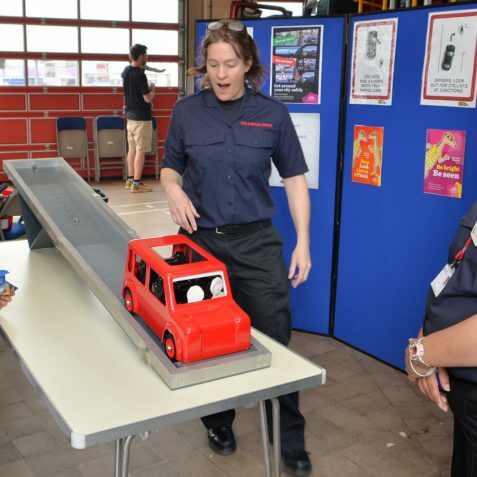 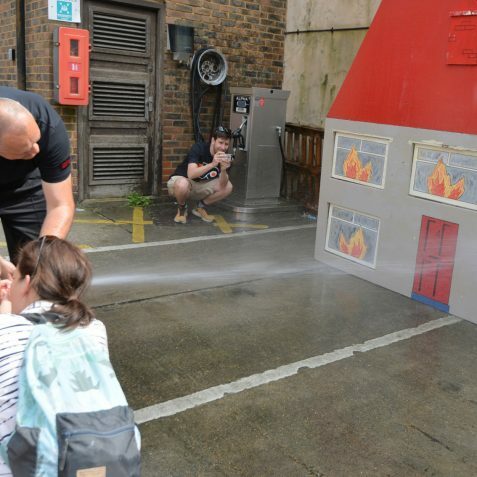 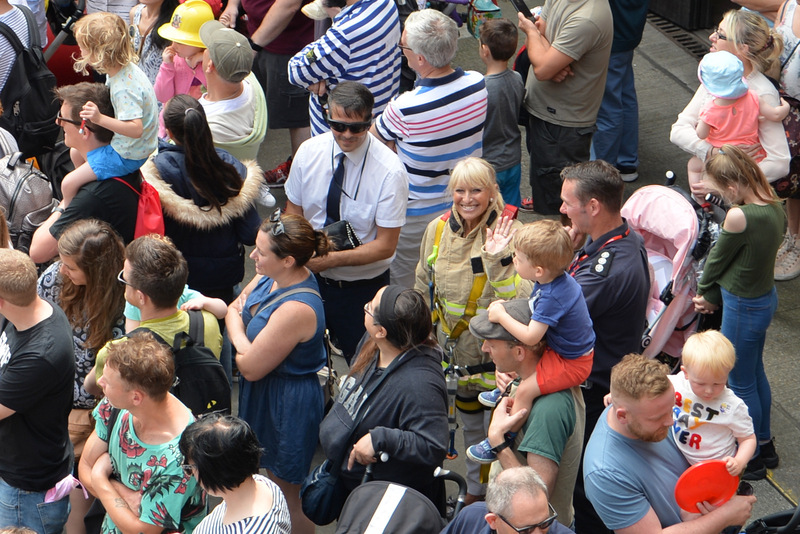 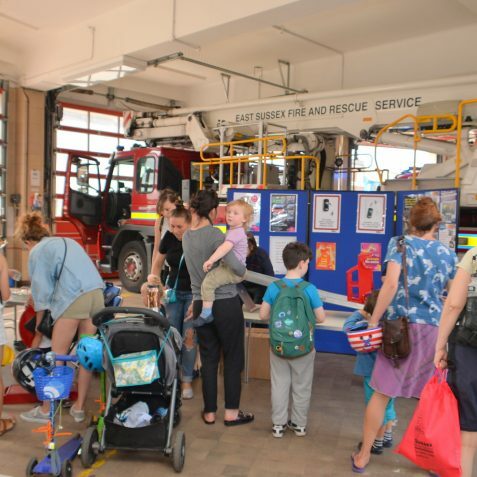 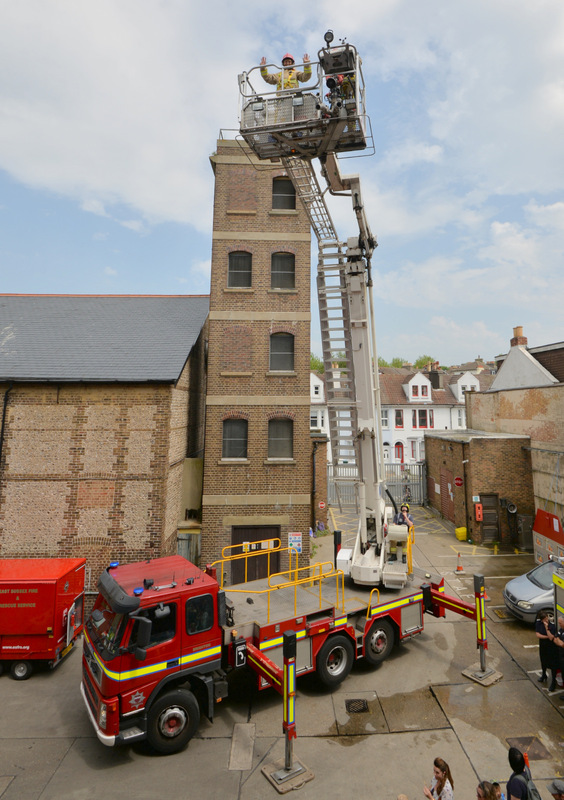 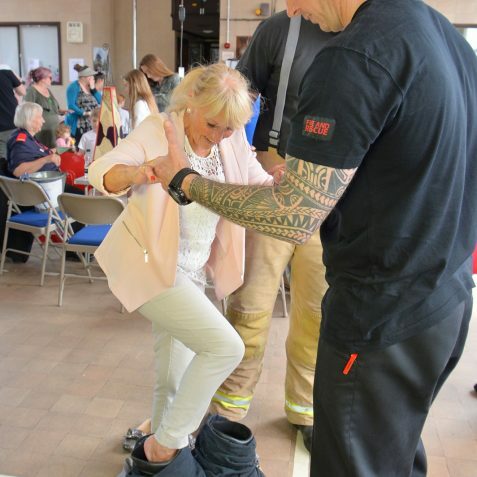 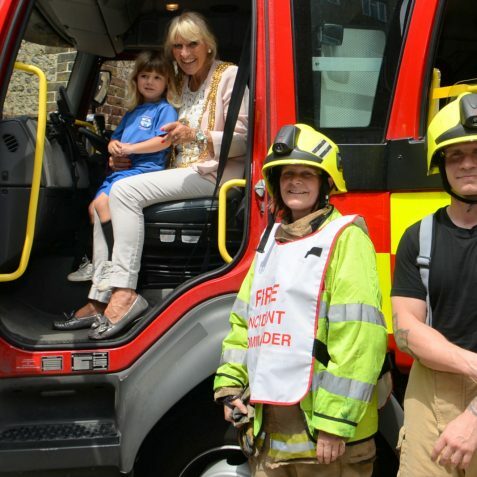 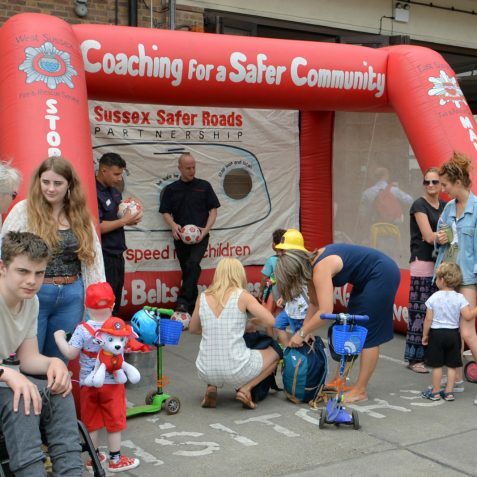 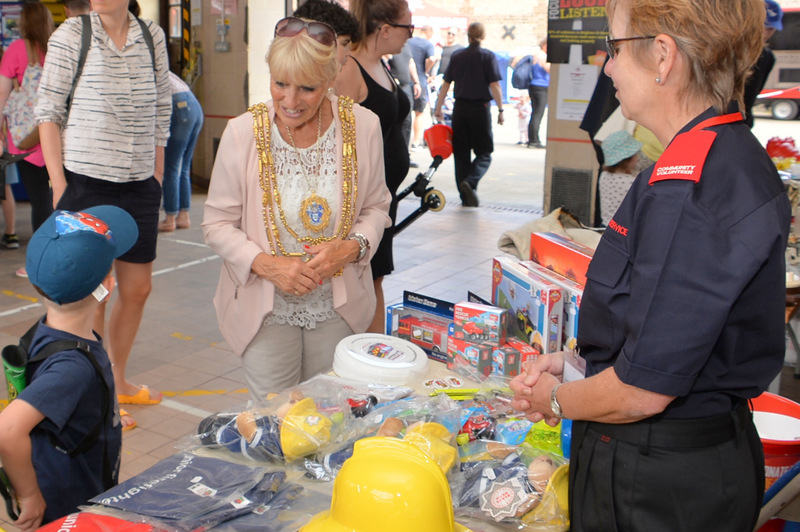 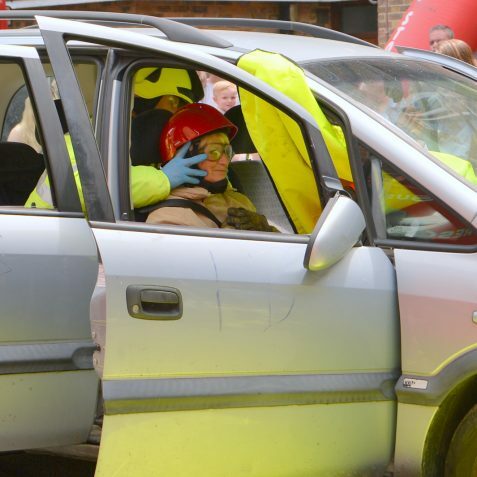 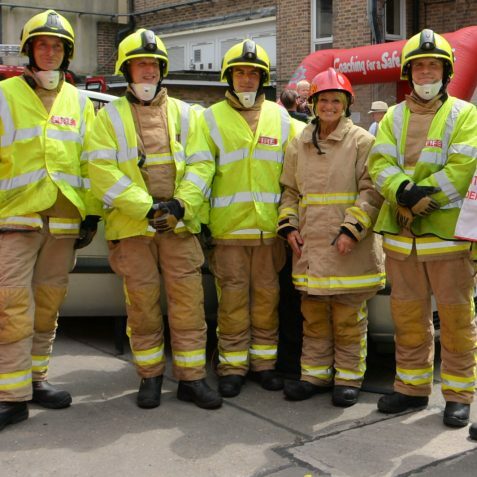 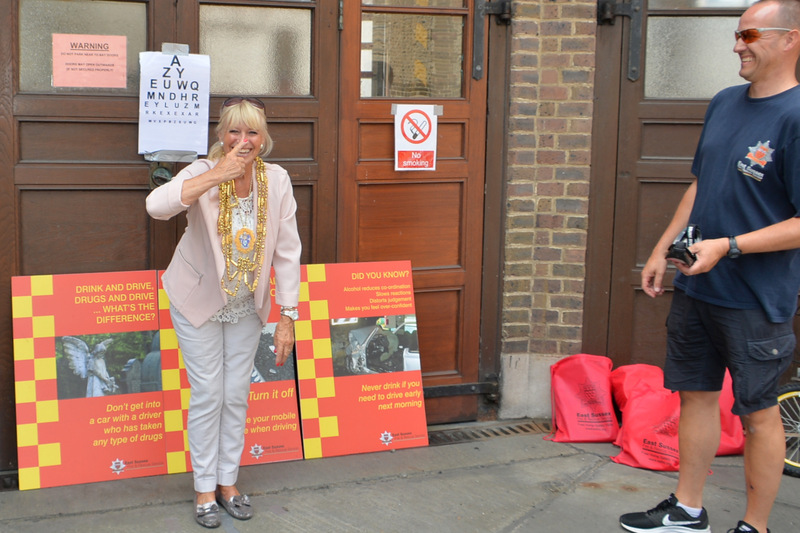 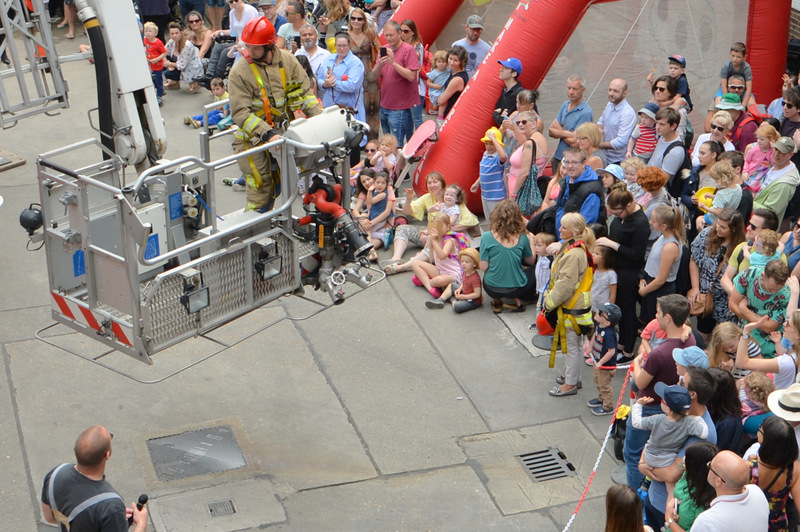 Newly elected Mayor of Brighton and Hove, Councillor Dee Simson, proved she was up for a challenge when she attended Preston Circus fire station’s Open Day. 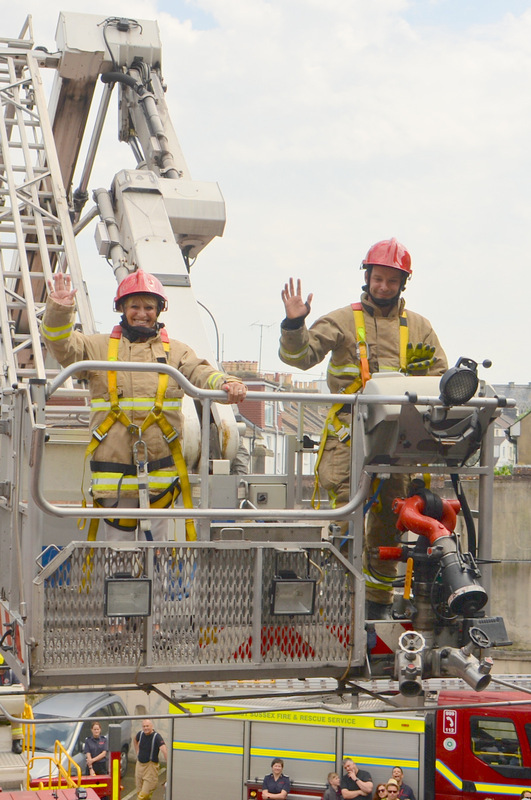 Despite being uncomfortable with heights, she agreed to join some of the station’s crew on the Aerial Ladder Platform. 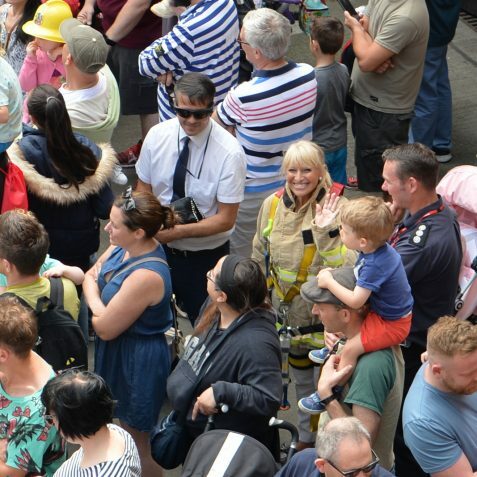 You will see from the photographs in our album just how high that goes. 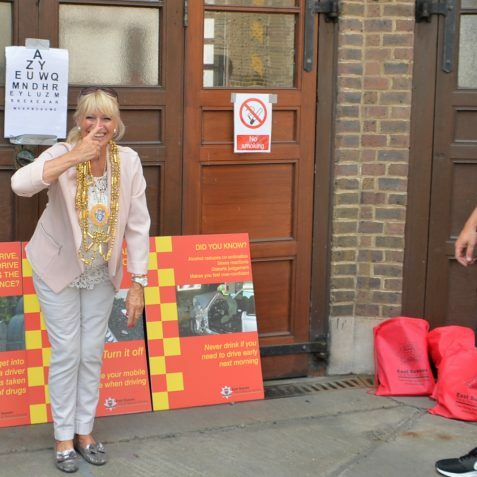 So I think she deserves a round of ‘Well done Madam Mayor’ for her ‘gung ho’ approach. 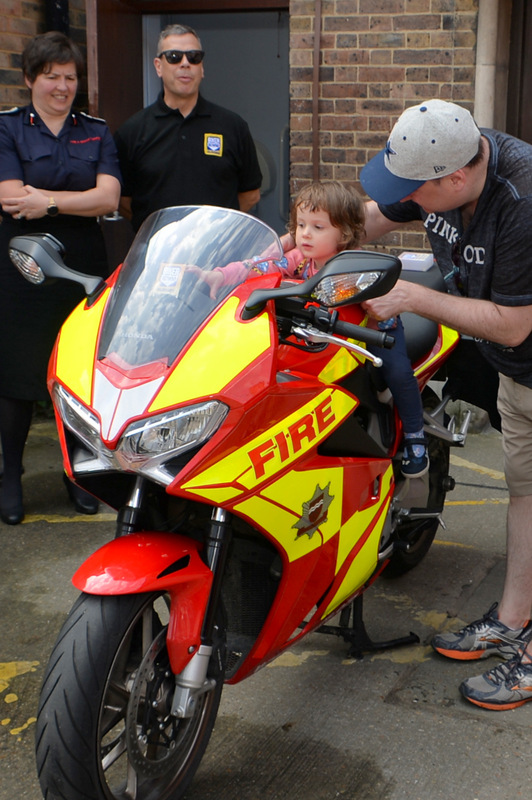 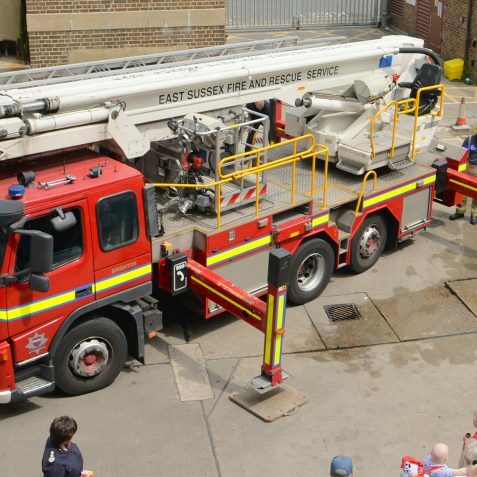 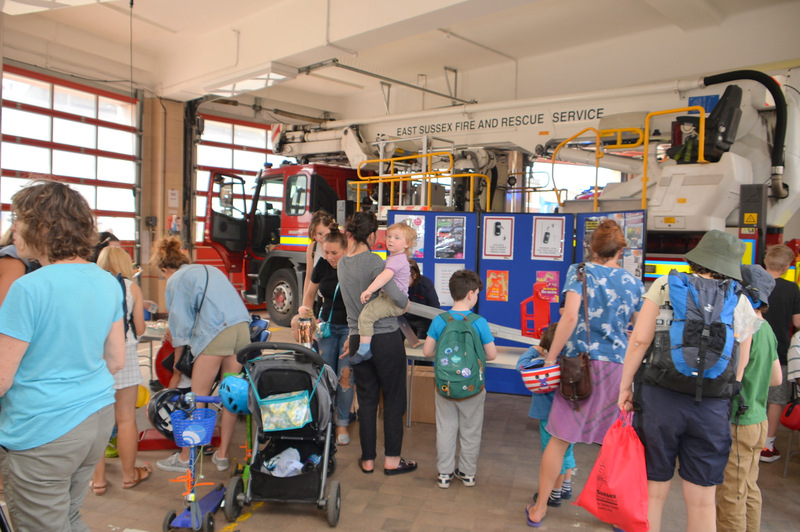 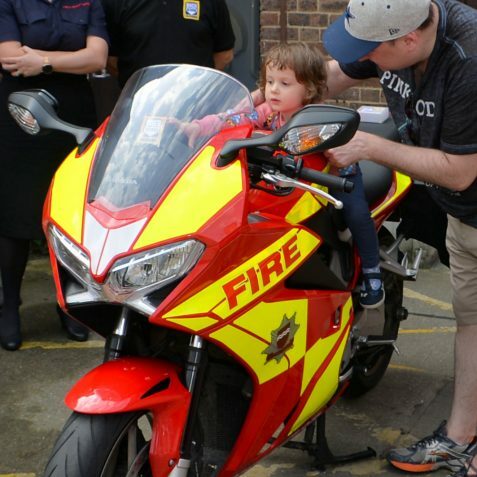 The Open Day, which also marked the 80th anniversary of the station opening, was very well attended. 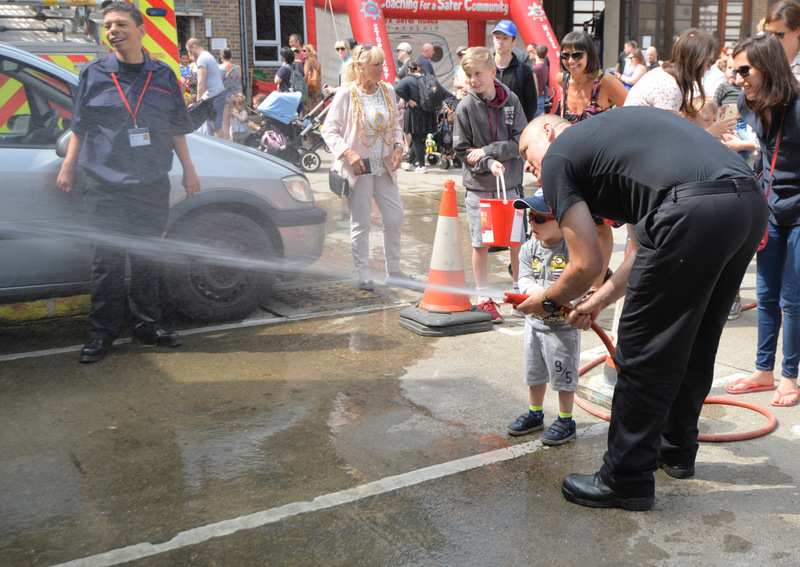 Even the weather was kind with sunshine all day. 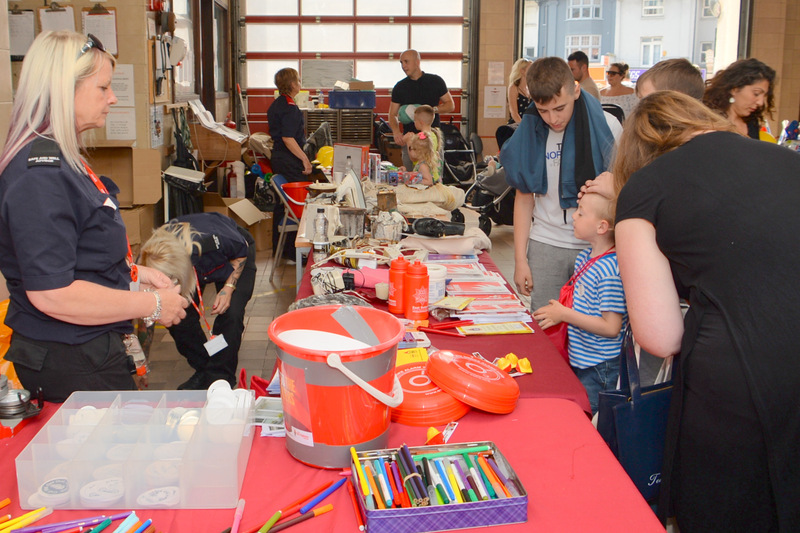 There was lots to do and lots to see and a great day was had by all. 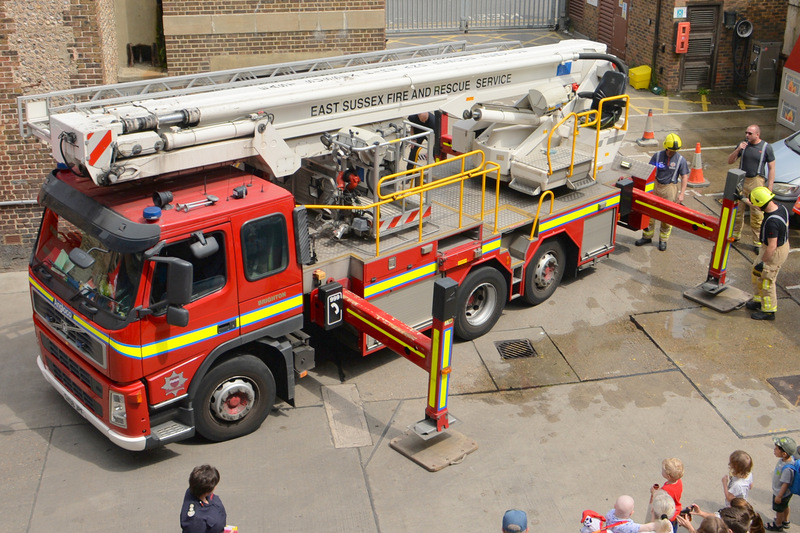 On a more serious note, a visit to the station’s website is recommended. 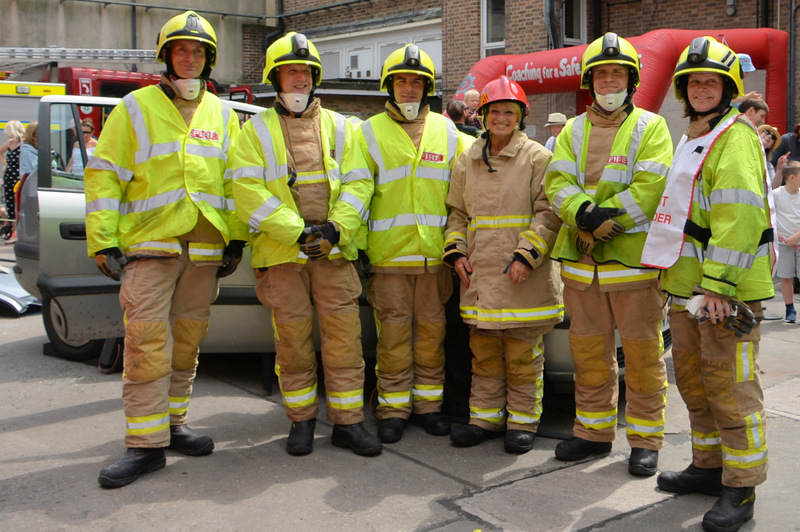 It contains a wealth of information – well worth checking – it could save lives.